Has someone you love become a victim of elder abuse in a Georgia nursing home? If so, the law firm of Schenk Smith LLC can help secure the best possible outcome in your case. Reach out to us to schedule your free consultation today, or visit our website for hundreds of educational videos on elder abuse. Many Georgia residents aren’t sure whether their case involves abuse or neglect. Generally, the difference has to do with intent. Did the nursing home purposefully threaten your loved one, hit them, or steal from them? That would be abuse. But if the nursing home simply failed to provide the proper care, leading to malnourishment, bedsores, or an accident which could have been prevented, then the case will likely be about neglect. Should I File Suit Against the Facility? It depends. If you suspect a nursing home has been abusing or neglecting your loved one, it is your right to file a lawsuit against that business. Whether or not you decide to sue however depends on a number of factors such as evidence, an invitation by the nursing home to settle the case outside of court, and the advice of your attorney. We highly recommend consulting an attorney shortly after you decide you want to file a lawsuit. That attorney will fully review your case and—as long as they’re honest—tell you whether the odds are in your favor for a good settlement or verdict. Who Oversees Nursing Facilities in Georgia? The Georgia Department of Community Health governs all nursing homes across the state. It is tasked with licensing new nursing homes and renewing licenses as they expire. If a resident of Georgia has a complaint against a nursing home, he or she would get the DCH involved to determine whether abuse or neglect may have caused a loved one’s injury or distress. Within the DCH is the Healthcare Facility Regulation, the branch of the DCH which reviews nursing homes to ensure compliance with state and federal regulations. These are the officials who visit state nursing homes and give out citations for substandard care or health violations. If you intend to sue a nursing home for neglect or abuse, you must be all in, 100%. No half measures will suffice when it comes to lawsuits. Nursing homes have substantial legal resources at their disposal and regularly run over inexperienced attorneys and ill-prepared law firms. Those are the facts. Here’s another fact: since 2013, Schenk Smith has won millions of dollars in settlements for Georgia families. We specialize in nursing home abuse and neglect cases, giving us far more experience than most other general practice law firms. And our past clients regularly say we’re like family to them. In many respects, we are. Do not hesitate to reach out to us if you live in East Point or the surrounding areas. Whether you’re near the Georgia Aquarium, the East Point Velodrome, or the State Museum of Science and Industry, we’re always willing to come to you. Nursing Home Abuse & Neglect in East Point, Georgia- What you need to know. East Point, Georgia is located in Fulton County and has a population of 35,477 residents. Of those, 10.7% are aged 65 and older. Many of these senior citizens will be abused in East Point Nursing homes, and it’s up to Georgia families to put a stop to it. How Can I Spot the Signs of Abuse? When people think of nursing home abuse, they mostly think of physical abuse. Hitting, pushing, and being too aggressive in the handling of elder residents. But this is just one aspect of abuse. Theft, for example, is considered elder abuse. And psychological abuse that involves threats, mocking, and hateful comments are very much a reality for many senior citizens in Georgia nursing homes and elsewhere. Bruises, cuts, or unexplained injuries: If your loved one was injured, ask nursing staff how it happened. If they give you the runaround, ask management. If you notice injuries occurring on a regular basis, consider contacting state and local authorities to look into the matter. Unexplained costs or missing cash: Theft occurs in nursing homes with incredible regularity. Make sure you’re reviewing your loved one’s bank account, and don’t hesitate to ask them about odd payments. Depression, anxiety, and stress: If you see an abrupt mood change in your loved one, it is possible that psychological abuse may be at play. Ask them if they’re being treated well. Watch how nursing home staff interacts with other residents. What Injuries Happen Most Often in Nursing Homes? It’s no surprise that injuries are an everyday occurrence at nursing home facilities across Georgia. Many of these injuries are accidents. Unfortunately, others are due to negligence or abuse. Injuries may be a direct result of nursing home staff or resident aggression. Others may have been due to overworked nurses failing to perform their required duties. Broken hips, concussions, and bruising sustained from falls: A worst fear among families of nursing home residents is that their loved one will fall and will not be found until it’s too late. No nursing home can stop all falls from happening. But they can limit their impact by performing fall assessments on all residents and quickly assisting a resident if a fall does occur. Bedsores: Bedsores are caused when nursing staff fails to turn a resident in bed on a regular (1-2 hour) basis. Early stage 1 bedsores are easy to treat. But once they begin to open, they can cause devastating damage to the skin and underlying muscle tissue. It takes proactive nursing to stop bedsores from happening. But even most effective nurse could miss them if he or she is overworked. What Are the Common Causes of Nursing Home Abuse? It’s hard to imagine how someone could abuse elderly men and women who aren’t able to care for themselves. And yet, abuse regularly occurs at nursing homes throughout Georgia and the United States. Why is abuse so rampant? What causes it to happen? Nursing homes are incredibly demanding on staff: Imagine having to care for people day in, day out, without proper support, without any thanks at all, and for long hours at a time. This is what most nurses at nursing homes have to deal with on a daily basis. Unfortunately, that stress quickly leads to hostility toward the residents. Abuse is quick to follow. Unqualified or inexperienced staff: Because nursing homes are incredibly demanding jobs with low pay and little upward mobility, the people who remain at these types of jobs are not always the cream of the crop in terms of skills and talent. We like to think that they took their job because they wanted to help elderly people. But that is far from the truth. Many were just looking for a job. My loved one was hurt in an East Point nursing home- What do I do next? If your loved one was severely injured or passed away at an East Point, Georgia nursing home, then we recommend that you act as soon as possible to protect your loved one’s rights. The Georgia Department of Community Health provides licensing and license renewals for all nursing homes in Georgia. The Healthcare Facility Regulation is the sub-branch of the DCH tasked with reviewing nursing home premises and enforcing state and federal law. When there is a dispute between a nursing home and a nursing home resident and their family, the Georgia Office of the Long-Term Care Ombudsman will often step in to review both sides of the story and mediate until a solution can be found. Physical assault against your loved one is a serious offense, and you have every right to contact state and local law enforcement to press charges. You may choose to contact the local police, county sheriff, or your district attorney’s office. For abuse occurring in an East Point, Georgia nursing home, report the crime to the City of Easy Point Police Department or to the Fulton County Sheriff. If you suspect a nursing home abused or neglected your loved one, you may wish to seek alternative living arrangements for them. Given the circumstances, we at Schenk Smith believe that is a wise choice. Your loved one always comes first. Finding a nursing home can be stressful. But there are tools out there that can help. Medicare.gov’s Nursing Home Compare tool is one of our personal favorites. Click here to go to the Nursing Home Compare Website. The Nursing Home Compare tool lets you compare local facilities side by side. You can compare these locations based on the quality of the staff, number of violations they’ve received, the overall score of the facility, and much more. For your convenience, a list of all nursing homes located within East Point, Georgia is located below, along with their contact information and inspection scores. If you intend to sue the nursing home for your loved one’s injuries and suffering, one of the most important actions you can take is to locate your loved one’s medical records and recover them from hospital staff. Your loved one’s medical records could contain critical evidence related to the type of injury they sustained and more importantly, how they sustained it. This evidence can then be used to help you receive a larger settlement or win your case outright in a court of law. Of course, it won’t be as simple as walking into the hospital and picking up the records. U.S. law makes it difficult for even family members to secure another person’s medical documentation. You’ll require a power of attorney or similar authorization if you hope to retrieve them. Alternatively, you can contact Schenk Smith to help you through the process. Lastly, you may have trouble finding your loved one’s medical documents, especially if you aren’t sure which hospital they received treatment in. For your convenience, we’ve provided you with a list of local hospitals to help you narrow down the number of possible locations where those records could be stored. If someone you love passed away from injuries or wounds sustained in a nursing home, you will still have an opportunity to file a lawsuit against that nursing home in your loved one’s name. This process requires the establishment of an estate, which can be prepared with the help of your county’s local probate court. Estates grant an individual family member or close friend the right to manage a person’s affairs after their death. Administrators of an estate manage the finances, property, and last wishes of the deceased individual. In addition to these, the administrator may sue if they believe that a nursing home caused the premature death of their loved one. Before you can file a lawsuit however, you must go to your local probate court to begin the estate process. The estate process can take time, and depending on your relationship with the deceased person, the setup can be complex. If you are at all confused about the process, don’t hesitate to review our knowledge base on Schenksmith.com. Alternatively, you can contact us directly to set up a free consultation. As promised, we’ve provided a list of nearby East Point nursing homes for your convenience. This information is taken from our CMS’ Nursing Home Compare Website. If you decide to file a lawsuit against a nursing home, you’ll want a law firm in your corner with an established record, great reviews, and proven experience in the field of elder abuse. Established Record: Since our founding in 2013, we have secured millions of dollars in settlements and verdicts for Georgians throughout the state. Neglect and abuse continue to be an issue in our state. But we are doing our part to put an end to it. 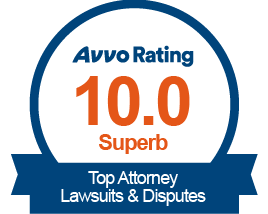 Great Reviews: Our law firm is the best Google reviewed law firm in the state of Georgia for elder abuse and neglect. We highly recommend checking those reviews out before getting in touch with us! Proven Experience: We are a specialty law firm focusing on elder abuse and neglect. We take on no other cases. 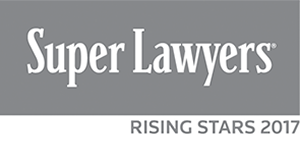 This focus on elder law has given us insights and experience that few other law firms come close to matching. We know you have a choice when it comes to hiring a law firm. But when it comes to nursing home abuse or neglect, always think Schenk Smith LLC, home to Georgia’s premier elder law attorneys. If your loved one was injured or died in a East Point, Georgia nursing home, please call us at Schenk Smith (678) 823-7678 for a free consultation. You can also check out hundreds of video FAQs on our website.